checkpoint will likely not be admissible in court. Police and prosecutors often make mistakes when arresting DUI suspects or investigating the case. Identifying these mistakes can help get the DUI charges reduced or potentially even dismissed entirely. Working with an experienced DUI defense lawyer will be crucial to obtaining the best possible outcome to the case. When a DUI arrest occurs at a sobriety checkpoint, having a DUI defense lawyer on your side will be essential, as skilled lawyers will understand what rules police have to follow in order for their checkpoint to be considered to have been legal. 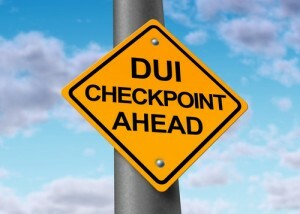 In fact, should police fail to abide by the legalities associated with setting up and operating a sobriety checkpoint, the DUI arrest and any evidence that police may have collected at the checkpoint – including results of field sobriety tests, blood samples and/or breathalyzer results – will likely not be admissible in court. If you have been arrested for or charged with a DUI, contact the St. Louis DUI defense lawyers at Brown & Brown Attorneys at Law. We have a long-standing commitment to serving our clients, and we are experienced at aggressively defending our clients’ rights in any legal setting. Our goal is to preserve and promote the rights and welfare of individuals and families who have suffered injuries and losses and/or who need help navigating through the complexities of the court system. Since 1993, our lawyers have been successfully representing our clients in various areas of DUI defense and personal injury litigation. Our unwavering dedication to the pursuit of justice in every case we handle means that we will work relentlessly to help our clients achieve the best possible outcomes to their cases. For a free initial consult, email us using the form at the right-hand side of the screen and/or to call us at 573-333-3333 for our Missouri office or at 618-888-8888 for our Illinois office.